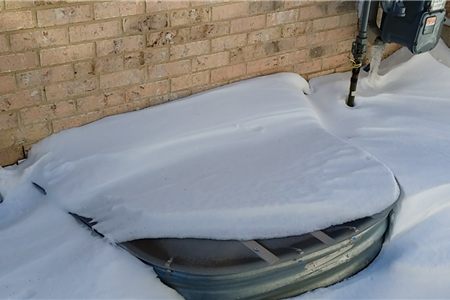 "There’s no shock when the well is under lock"
​​Our Window Well Covers are all custom made, any size well can be covered. ​All of our window well covers come with a LIFETIME WARRANTY. Built with LEXAN and Anodized Aluminum ! 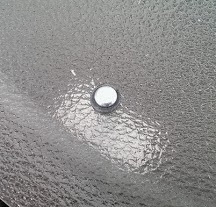 1.5" x 1.5" x .125"
Keeps window well area clean of snow, leaves and debris, UV & Scratch Resistant. 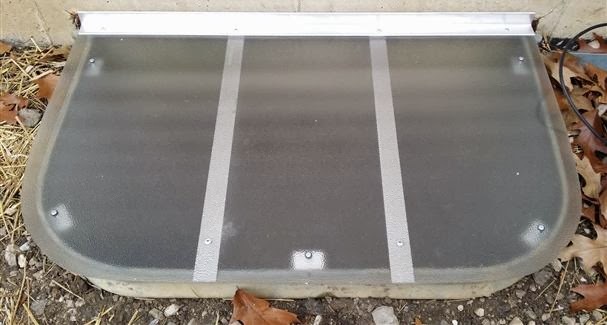 Get Your Custom Window Well Covers today! Manny did an outstanding job on my Basement window well Covers. He talk me through the entire process. When I ask questions he answered them all. I would definitely recommend him to anyone. 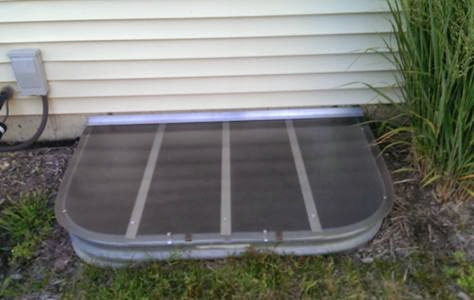 Protect your basement window and window well with Manny's GE Lexan and Aluminum Window Well Cover. 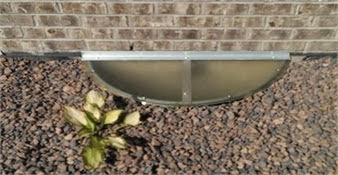 Each Window Well Cover is Custom-Made to Ensure a Perfect fit for any size or Shape Window Well. It keeps unwanted animals, debris, leaves, rain and snow out of your window well and helps prevent falling into your window well. 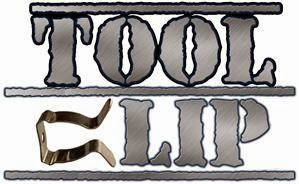 -Supports up to 800 lb. HandyManny's Basement Window Well Covers are Custom made to fit any size or shape window well,100% RUST-FREE. Aluminum Grates are Capable of Supporting over 600 lbs. 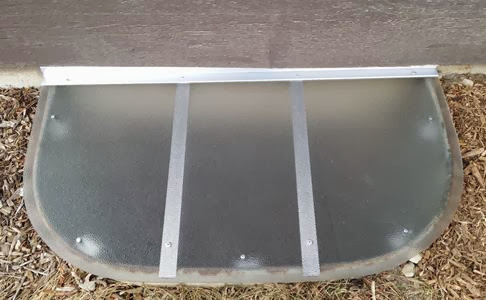 Each custom Window well cover is supported by extra wide and extra thick aluminum iron cross supports with a double main support that holds up to 800 lbs. of weight. 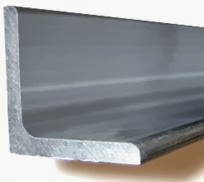 We attach Window Well covers using stainless steel tool clips. 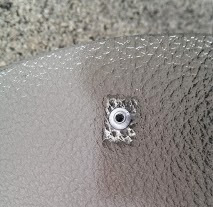 The heavy duty clips are positioned around the cover and pushed over the lip of the well, this enables the cover to hold tight and not move or shift. 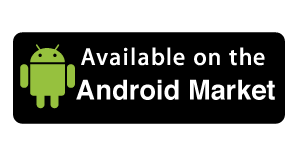 ​Estimates are quick, easy & free! “Low Price Guarantee” Call us direct at 630.214.9821 If you need quality Basement Egress Windows, we offer theses services also. Some Polycarbonate material is virtually unbreakable but will turn yellow under UV radiation (sunlight & fluorescent lamps). 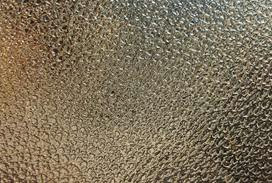 Our Polycarbonate Lexan is UV Resistance and will never turn Yellow. Open window wells are a hazard! They also mean you’re constantly scooping out disgusting debris… or worse, nasty critters. Most people worry that covering up window wells will block the natural light. That’s the reason we designed our window well covers to let in 98% of the natural light – you literally won’t see the difference! Forget the hassle and cover up any open window wells around your property. You’ll be so grateful that you did. We will custom-build your cover from super-strong anodized aluminum that withstands 800lbs of weight. 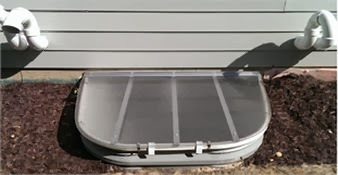 We’ll deliver a custom window well cover that will fit perfectly and keep out rain, snow, leaves, and pests that most covers won’t, preventing leaks and other potential problems in the basement areas of your home. 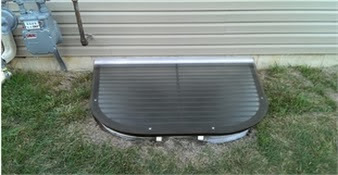 All our window well covers come with a lifetime warranty, so call today for a FREE custom estimate! 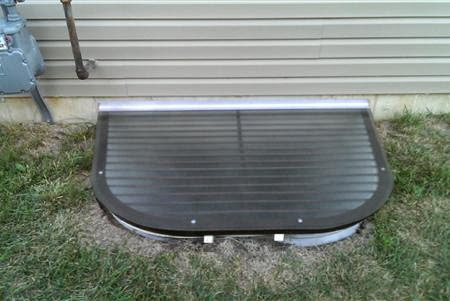 Already Have Window Well Grate? 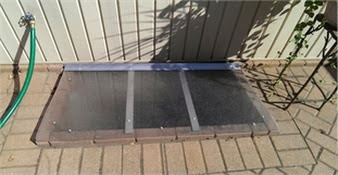 Consider Our Window Well Cover Overlay Solution.